Designed for the typical home or office user to optimize PC performance for maximum speed and reliability. Get fragmentation prevention, instant defrag and quick file retrieval all in one. Includes proprietary I-FAASTï¿½ file optimization technology to transparently and dynamically monitor file access frequency to determine which files are requested most often and then, in coordination with defrag operations, strategically places those files to increase their access time. Designed to increase the speed and reliability of home or home office PCs and laptops by preventing the majority of fragmentation that causes PC slows and then instantly defrags the rest. You will experience improved PC performance, faster boot-up times and increased speeds on everything from internet browsing to antivirus scans. Plus, it's completely automatic. Just install and let it run. That's it! 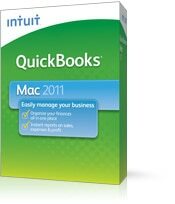 Get organized and boost productivity with QuickBooks for Mac. 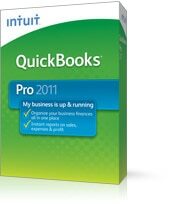 QuickBooks Pro 2012 makes accounting easyï¿½with tools to organize your finances all in one place. Get 2 Diskeeper 2011 Professional edition performamce software licenses and save $10. Keep your PCs fast and fragmentation free. Plus, access files up to 80% faster with I-FAAST file optimization technology. Buy 2 Diskeeper 2011 Home licenses and save $30. Give your PCs the speed they needs with the only solution that can actually cure and prevent performance robbing fragmentation before it happens. Dragon Dictate lets you accomplish more on your Mac than you ever thought possible. Input text just by speaking -- up to three times faster than typing -- and interact with your favorite Mac applications using only your voice. Get 3 Diskeeper 2011 Professional edition performance software licenses and save $15. Speed up your PCs today and say GOOD BYE to fragmenation-related slows and lags. Plus, access files up to 80% faster with I-FAAST file optimization technology. Designed to optimize solid state drives, keeping them healthy and running at top speeds. Diskeeper 2011 Professional with HyperFastï¿½ solid state drive optimizer keeps your system running as fast as when you purchased it, by optimizing the free space on your SSD. If you have a solid state drive, we recommend adding HyperFast. Speed up all the PCs in your household with Diskeeper 2011 Home 4-pack performance software, now only $69.95. Specially designed for high-end systems and power users! Get an EXTRA performance boost above and beyond anything you have ever experienced before ï¿½ even better than when your system was new! Provides optimum PC performance, reliability, longevity and energy conservation at all times. Get the added defrag power of the Terabyte Volume Engineï¿½ (TVE) technology, along with fragmentation prevention, Instant Defrag technology, Efficient mode and fast file access speeds. Buy 2, Get 3 FREE. Speed up all of your home PCs and say GOOD BYE to fragmentation related slows and lags. Get a Diskeeper 2011 Home 5-Pack performance software today, not only $79.95. Did you know that by simply running Diskeeper performance software on your PC, your computer will last up to 3 YEARS LONGER? The more you use your computer, the more fragmented it becomes. As fragmentation builds up it directly affects your computers speed and reliability. Diskeeper 2011 performance software is the only solution that cures and prevents up to 85% of fragmentation and keeps your PC running faster than you ever thought possible. Donï¿½t wait, buy Diskeeper 2011 Pro Premier 2-Pack now. Solid state drives start out fast but quickly experience rapid slowdown. Diskeeper 2011 Pro Priemier with HyperFast solid state drive optimizer is the first ever optimizer exclusively designed to speed up SSD performance and extend SSD lifespan. Parallels Desktop for Mac is simply the worlds bestselling, top-rated, and most trusted solution for running Windows applications on your Mac. With Parallels Desktop for Mac, you can seamlessly run both Windows and Mac OS X applications side-by-side with speed, control and confidence.